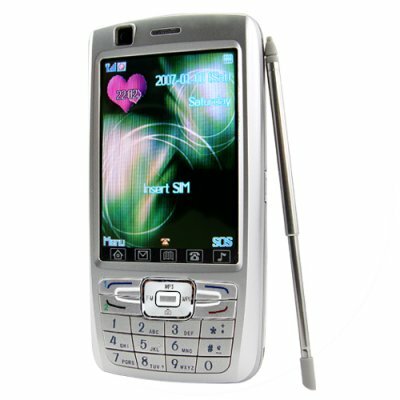 Successfully Added Dual Camera 2.8 Inch Touchscreen MP4 Phone to your Shopping Cart. Dual Camera Phone with 2.8 Inch LCD Touchscreen and Multimedia Playback- You'll be impressed by this little handset, sporting many of the features of more expensive brand name phones at a fraction of the price. With both a camera back plate, as well as a second camera on the front, and quick switching between both, you'll be able to take photos or videos of yourself or others with ease. The finger friendly menu system is a breeze too, you won't have to remove the stylus every time you want to change settings, play a movie or call someone. This phone also supports A2DP for wireless music transmission to you ear phones, as well as a FM radio tuner for all your mobile music needs. All this in a great budget phone, available now for drop shippers and individual purchasers alike with no MOQ and a 12 month warranty.